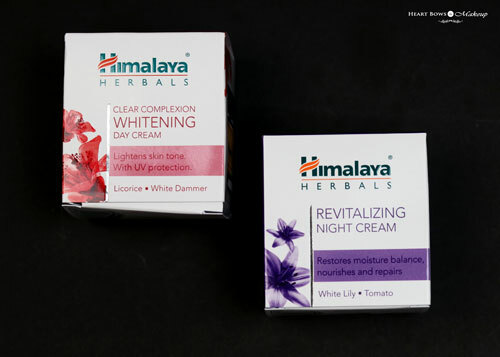 Home » Himalaya Herbals » Winter Skincare Sorted feat. 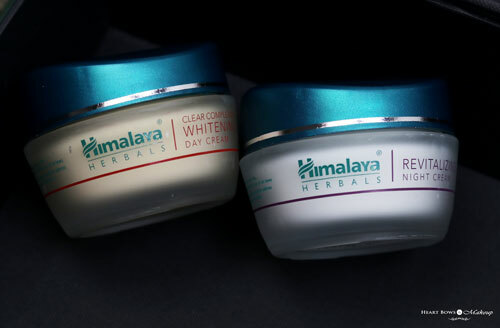 Himalaya Herbals! Dry and rough skin are common complaints during the winters and finding good, hydrating products with affordable price tags these days can be quite cumbersome. I am someone who believes that not every good product needs to cost you an arm or leg and one such brand that completely proves this is Himalaya Herbals. I have grown up using their products from lip balms and foot creams to shampoos and supplements. 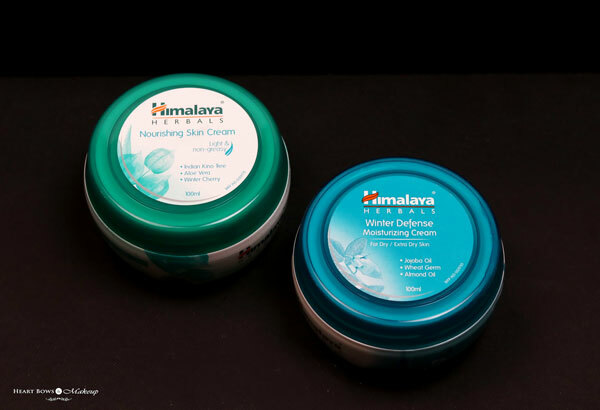 Today, I’m going to share my winter favorites from Himalaya that I totally recommend. 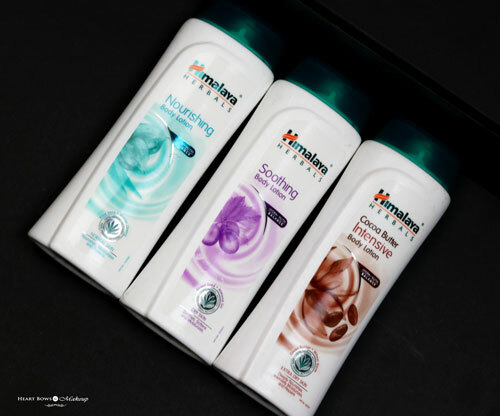 Easily the best and affordable body lotions in India, they are available in 3 variants for various skin types. Packaged in a simple bottle with a flip open cap, the Himalaya Body Lotion has a fuss free and travel friendly packaging. The Himalaya Nourishing Body Lotion contains aloe vera and winter cherry, is perfect for normal skin. It’s a non-greasy and lightweight lotion which gets absorbed quickly and nourishes the skin. The Himalaya Soothing Body Lotion on the other hand contains almond oil, grape seed oil and walnut oil. It is specially formulated for dry skin and is very moisturizing for winters. My favorite however is the Himalaya Cocoa Butter Intensive Body Lotion. It is an intensely hydrating lotion with cocoa butter and wheatgerm oil which are known for their nourishing properties. It is perfect for very dry skin in winters and despite the hydrating consistency, it does not feel heavy or greasy. All the lotions have a light pleasant scent and are the best budget friendly body lotions in India. Highly recommended. These are general purpose creams which can be used both on the face and body. They come in an opaque tub packaging with a screw on cap. 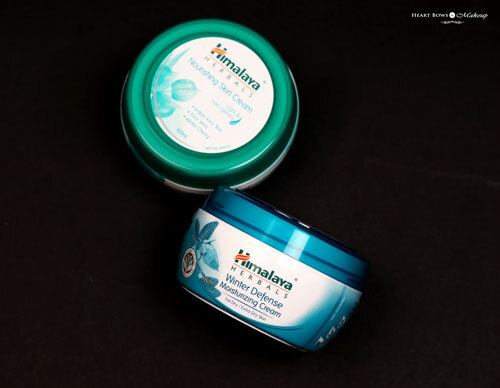 The Himalaya Nourishing Skin Cream consists of aloe vera, winter cherry and Indian Kino tree. It is a lightweight and non greasy formula which effectively combats dryness. It also contains Indian Pennywort which helps in dealing with persistent eczema. 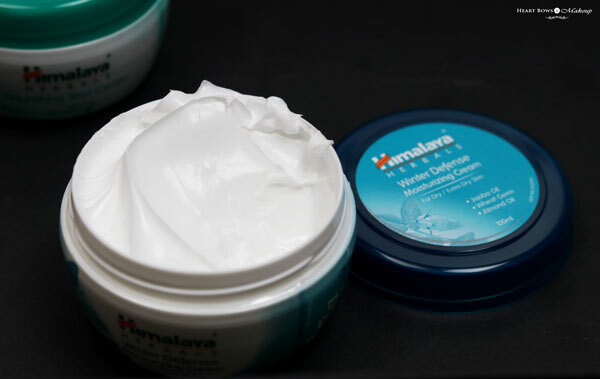 Himalaya Winter Defense Moisturizing Cream is slightly heavier in texture. It absorbs well upon massaging and I love using this for my dry elbows, feet and hands in winters. The texture is similar to a fluffly whipped cream and has a beautiful scent. It contains wheatgerm oil, jojoba oil and almond oil which keep the skin healthy, hydrated and glowing. I have been using the Himalaya Lip Balms for as long as I can remember. From their earlier tube packaging, the lip balms are available in handy retractable stick form. 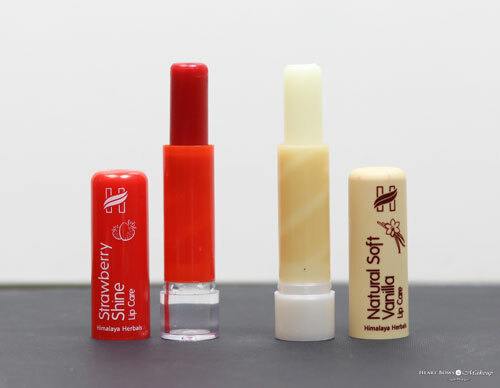 The Strawberry & Vanilla Lip Care have a creamy and non waxy texture which applies easily. Unlike some lip balms, it does not pack on too much product on your lips and can also be applied under matte lip products for nourishment. It heals dryness and chapped lips like a boss and is enriched with Vitamin E and antioxidants. 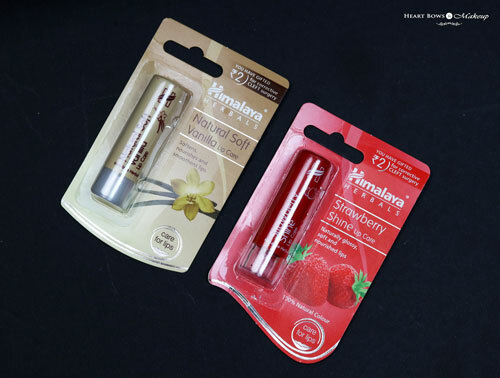 The Himalaya Strawberry Lip Care provides a light pink tint and Vanilla Lip Care is not tinted hence, can be used by men as well. The best part is that the Himalaya Lip Care is free of petroleum jelly, mineral oil, silicone and preservatives. I have been using the Himalaya Whitening Day Cream & Revitalizing Night Cream for almost 6 months now. They are packaged in similar glass jars with screw on cap. The whitening day cream is beige in color. It has a light consistency and is quickly absorbed into the skin. 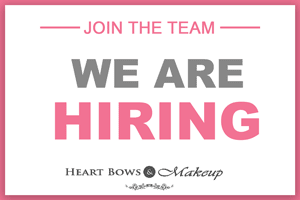 I love using it under my base as it is non greasy and makes my foundation go on smoother. Upon regular usage, the complexion looks brighter and adds a natural glow. However, don’t expect it to lighten any acne or dark spots. The Himalaya Revitalizing Night Cream on the other hand is thicker in texture and very hydrating, exactly what you expect from a good night cream. It combats dryness effectively and the skin looks healthy and glowing the next morning. It is the most affordable night cream in India and assists in cell renewal overnight. 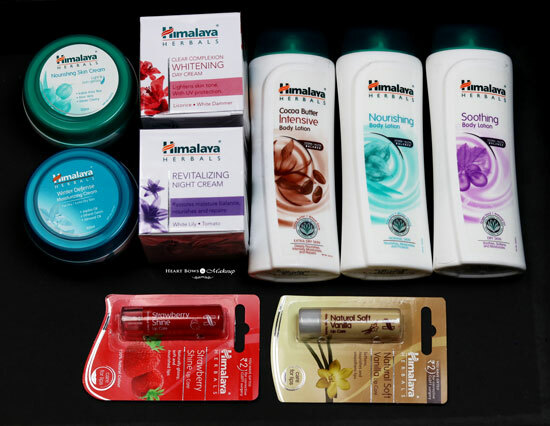 So these were my top winter favorites from Himalaya Herbals. Do share your opinion on any of the above products that you’ve used before. Terra Chips: The Healthy Party Snacker! Vivo V5: The Perfect Smartphone for the Perfect Selfies!